​Vadstena, in the Diocese of Linköping in southern Sweden, has been an important pilgrimage site since mediaeval times, both as a destination in itself and also as a sacred place en route to Trondheim in Norway. Today it remains a sacred destination for both Lutherans and Catholics. ​Vadstena Abbey, also known as the Blue Church, is the shrine of the 14th century saint and mystic Birgitta of Sweden, who had a vision from Christ on which the Abbey was based. ​​St Brigitta (St Brigit) is the patron saint of Sweden and in 1999 was made a Patron Saint of Europe, alongside Catharine of Sienna and Edith Stein. Vadstena Pilgrim Centre, the Diocese of Linköping and the City of Vadstena municipal authority became members of the Green Pilgrimage network in 2013, and in February 2014 Vadstena hosted an inaugural meeting of a European Chapter of the GPN. ​Together with Canterbury, UK, and Trondheim, Norway, Vadstena, is a founder member of the European Green Pilgrimage Network. This is a partnership between Vadstena Pilgrim Centre, Vadstena-Dals Parish and the Diocese of Linköping. 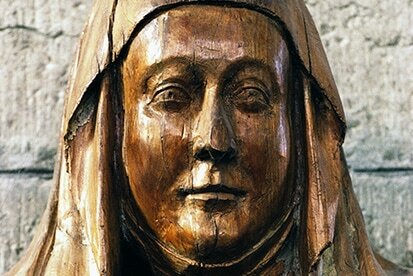 St Birgitta was a devout pilgrim herself and is known as the patron saint of pilgrims. Vadstena Abbey (pictured above) contains relics of the saint, whose remains were brought back to Sweden after she died in Rome in 1373. She is venerated by both Lutheran and Catholic believers. There has been a growing interest in the Birgitta Trail, which was revived in 2011 to run from Linköping Cathedral (pictured above) to Vadstena. In 2016, the trail was extended to start from St Laurentius Church in Söderköping (where St Birgitta's coffin rested), making a 145km trek. Vadstena Pilgrim Centre runs courses and retreats for pilgrims and offers 14 dormitary-style beds, a cafe and shop. In 2016, it opened a retreat farm at Maria Farm (which is part of the original Bridgettine monastery) for groups seeking silence, reflection and vibrant worship. Thank you, thank you for everything and for all, bless them all. In the drop of water. The Linköping Diocese has adapted the 'pearls of life bracelet' created by Swedish Bishop Martin Lönnebo to include an eco reflection. ​The bracelet was devised in 1995 after Bishop Lönnebo was stuck on a Greek island because of a storm. He had the idea of a bracelet as a contemporary aid to prayer. I (or Self), Baptism, Desert, Serenity, Carefree, Love (two red beads), Mystery (three white beads), Night, Silence and Resurrection. Now a green pearl has been added. ​Pilgrim Centre manager Ewa Lundh explains: “Pilgrims are asked to add a green pearl and remember that what they do to care for the environment and for each other all reflects on the wonder of creation.” The bracelets are sold in the Church and Pilgrim Centre. In 2014 the Church of Sweden's Bishops issued A Bishops' letter on the Climate, which looks at how the Christian faith can contribute to meeting the challenge of climate change. ​As a response to the Bishops' Letter, the Diocese of Linköping developed and approved a Climate Strategy in 2016, committing the Diocese to work towards climate neutrality, including a number of short- and long-term targets related to energy use, energy production, transport, maintenance of graveyards, etc. 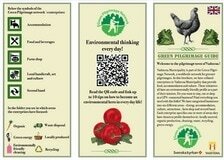 The strategy also contains explicit targets on Green Pilgrimage. The Diocese of Linköping is working with Kyrkans Miljödiplomering, an environmental auditing system, and in the last five years has conducted energy audits for virtually all heated buildings within the diocese. That is more than 600 buildings including 280 churches. These audits are followed up with suggested investments/activities as a part of the Church's climate work. ​Vadstena Pilgrim Centre organised the Swedish part of the Pilgrimage to Paris for COP21, the international climate change talks organised by the United Nations in November 2015. Inspired by their faith, all over Europe, people walked to Paris to express their concern about climate change. For Swedish pilgrims going to Paris, Vadstena Pilgrim Centre organised a number of environmental activities at each stop on the way, which was usually a church. For example, sometimes they planted an oak tree or holding a 'water ceremony’. ​Two priests from the Diocese took part in the whole pilgrimage from Uppsala to Lund and from Lund to Paris. For more information, visit Sweden's Pilgrimage to Paris website (in Swedish): www.ekovandringen.se. Vadstena also celebrates Earth Hour with a service in the Church. Earth Hour is an annual global celebration, held on March 25, where people switch off their lights for one hour to show they care about the planet. ​Last year's service, which was held mostly in candlelight, attracted 800 people and was an initiative that brought the parish, Diocese and municipality together. 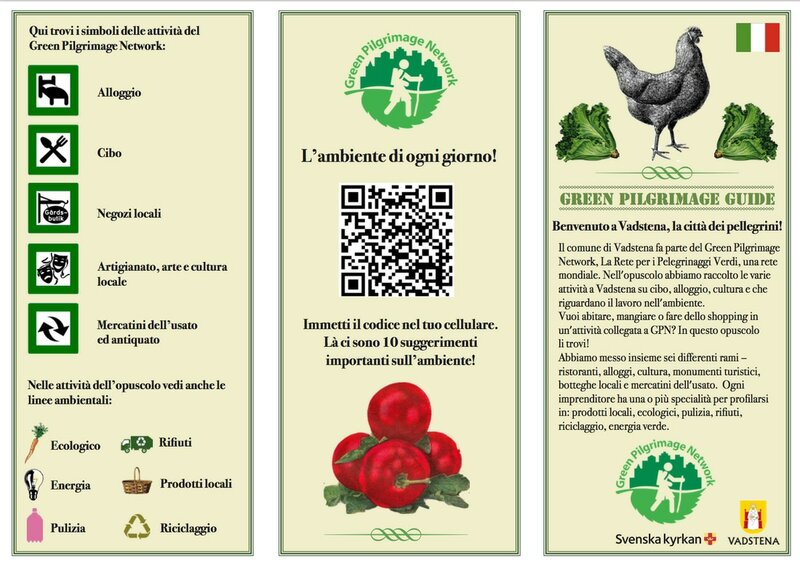 The Diocese of Linköping has created a number of leaflets on green pilgrimage in English, French, German, Italian and Spanish as well as in Swedish. You can download them below.